The long road to lost music is, at last, a journey everyone can experience! Â 45RPM is now available for the first time on DVD and Video on Demand. Most exciting is the collector’s edition that comes with the DVD and the rare “Rusted Roof” record from the film. In the spirit of the story, only a small amount of these records exist. Order yours NOW because when they are gone, they will become “lost music” once again! You can get the DVD with never-been-seen extras from our fantastic distributor, Brinkvision as well as good ole Amazon. from Amazon Instant Video and Google Play. Please be sure to watch the trailer, add us to your watchlist, and rank us after you finish so we can show all the people and platforms that took a chance on this little film that people want to see Charlie and Louie’s adventures. Now that 45RPM is out into the world, we hope people continue to get lost in the search, rock out to killer music, and enjoy all the hard work that went into the making of this movie. As we work to get 45RPM seen by more and more audiences, it is our great pleasure to announce we are official selections at 2 more upcoming film festivals! 45RPM is proud to be an official selection of the 2013 Offshoot Film Festival in Fayetteville, Arkansas! 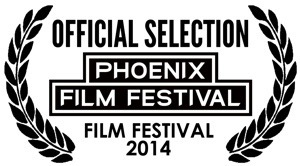 Very excited to get to screen for our homestate – this time for our friends Northwest Arkansas. Will we see you in Fayetteville? RVSP on Facebook for all the updates. 2013 Philadelphia Film & Animation Festival! We will announce our screening times as soon as the festival does. Stay tuned! Seeing as Philadelphia holds a special place in the heart of this director (gotta love your college town…) I can’t wait to head north to attend this festival! 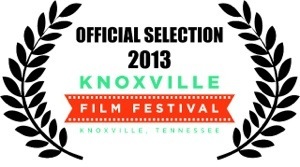 We are completely ecstatic to announce that 45RPM is an official selection of the 2013 Knoxville Film Festival in Knoxville, Tennessee! Exact screening times will be announced soon.